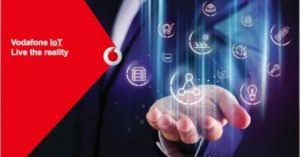 Vodafone will use a range of private networking options to serve industrial verticals, it has said, as it develops its advanced LTE and emerging 5G proposition for enterprises. These options include spot usage of unlicensed LTE, localised usage of public LTE, and dedicated slices of its public 5G networks. "We are proving 5G for Industry 4.0. When you move into the factory, you move to more control-based applications, and 5G brings together a number of interesting things. Firstly, it brings private networks – this ability to lay a private network over a factory. Secondly, 5G takes IoT from a data network to a control network. Third, it introduces mobile edge computing, and fourth, it leverages cloud and hybrid cloud." On cloud functionality, Vodafone last month signed a $550 million deal with IBM to combine connectivity, cloud and artificial intelligence (AI) technologies to help companies remove complexity from their digital transformations. "5G doesn't just depend on fibre, spectrum and gadgets, but on advanced levels of integration, automation, optimisation and security across the ever more complex IT systems that companies are building in a bid to transform," noted IBM in its press push.